The jump from CyanogenMod 7 to CyanogenMod 9 predictably took a long time. Ice Cream Sandwich was a huge update for Android and took a lot of loving time to integrate all the new features and get them working. Now that Jelly Bean has been released, the next upgrade to CyanogenMod won’t take as long, and there are even a few functional builds out there, but this video shows that more than just Nexus devices get the love. 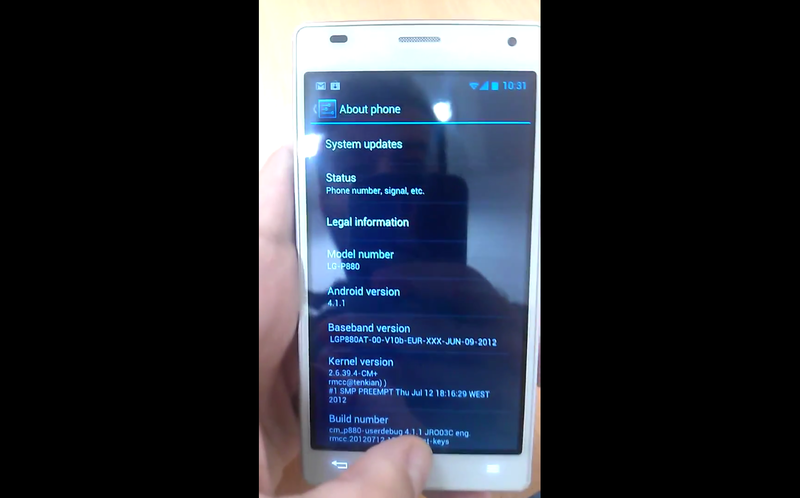 Ricardo Cerqueria of the CyanogenMod team posted this video showing the development of CM10 on the LG Optimus 4X HD. As you can see, not everything is finished yet, but for the most part the build looks fairly finished. Google Now doesn’t seem to be working quite yet and there’s surely a few more bugs, but they’re working on it. Cerqueria also mentioned that “We expect all CM9 devices to get CM10.” That’s certainly something to be excited about, we will just have to sit and wait until we get our upgrades.